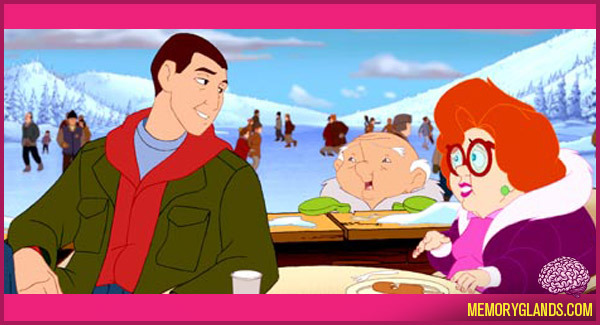 Adam Sandler’s Eight Crazy Nights is a 2002 animated musical comedy-drama film co-written by and starring Adam Sandler. Unlike most mainstream holiday films, it centers on Jewish characters during the Hanukkah season, as opposed to religious or secular celebration of Christmas. Despite being animated in the style of television Christmas specials, the film is adult oriented, featuring significant sexual and scatological humor, and focusing on such topics as alcoholism, bereavement, and depression. The film’s title is taken from a line in Sandler’s series of songs called “The Chanukah Song” that compares the gift-giving traditions of Christmas and Chanukah: “Instead of one day of presents, we get eight crazy nights!”. Additionally, a new version of The Chanukah Song was played over the film’s closing credits.